The Catcher in the Rye is a 1951 novel by J. D. Salinger. A controversial novel originally published for adults, it has since become popular with adolescents for its themes of teenage angst and alienation. It has been translated into almost all of the world's major languages. Around one million copies are sold each year with total sales of more than 65 million books. 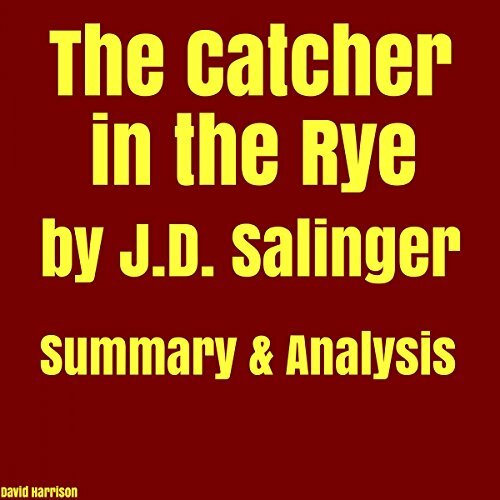 The novel's protagonist Holden Caulfield has become an icon for teenage rebellion. The novel also deals with complex issues of innocence, identity, belonging, loss, and connection. The novel was included on Time's 2005 list of the 100 best English-language novels written since 1923 and it was named by Modern Library and its audience as one of the 100 best English-language novels of the 20th century. In 2003, it was listed at number 15 on the BBC's survey The Big Read. I think this was a great summary of J.D Salinger's work. Although it was originally intended for adults Caulfield's alienated, angst filled, immature character struck a cord with the youth who could empathize with the dating, bullying, and school drama. It's an in depth overview of growing up in an adult world that seems so phony to Holden. As a first time listener, I can't imagine how this classic book misguided Chapman into killing the young and talented John Lennon. I guess everyone's interpretation of literature is different. The narrator did a really good job in narrating this book. I was given a free copy of this book and have decided to voluntarily leave this review. I wasted my credit with this summary. I was in a rush and assumed that it was the novel. I was looking for the actually audible book. this is no it. Audible books does not have it. Not really much of an analysis... more or less just one, long plot summary. No real depth.